Why school levies are so important to CPPS? College Place School District is asking voters to decide on three levies that support student learning, school programs, staffing, athletics, student safety, technology, transportation and much more this February. There were sweeping changes made at the state level last legislative session that changed how schools can run levies, how much they can collect and what the money can be used for. Please review the information below to learn more about the state changes, the upcoming levy and how levy dollars support and maintain the educational standards for our students here at College Place Public Schools. 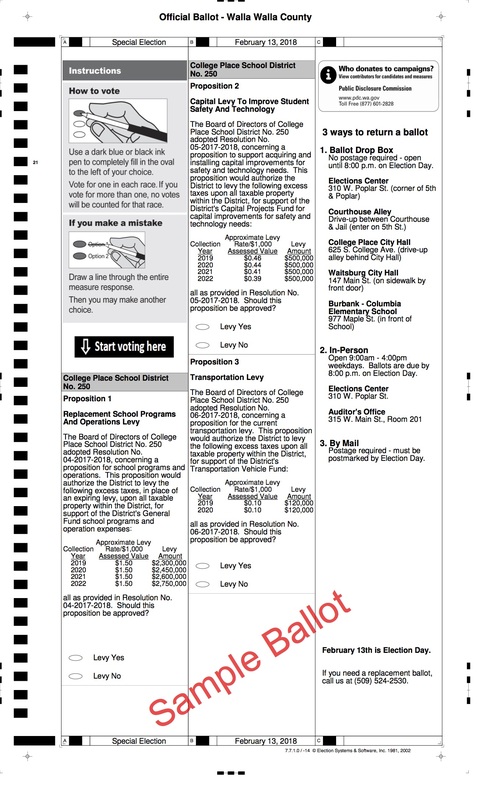 Voters this is the ballot you will see in your mailbox on January 26th. 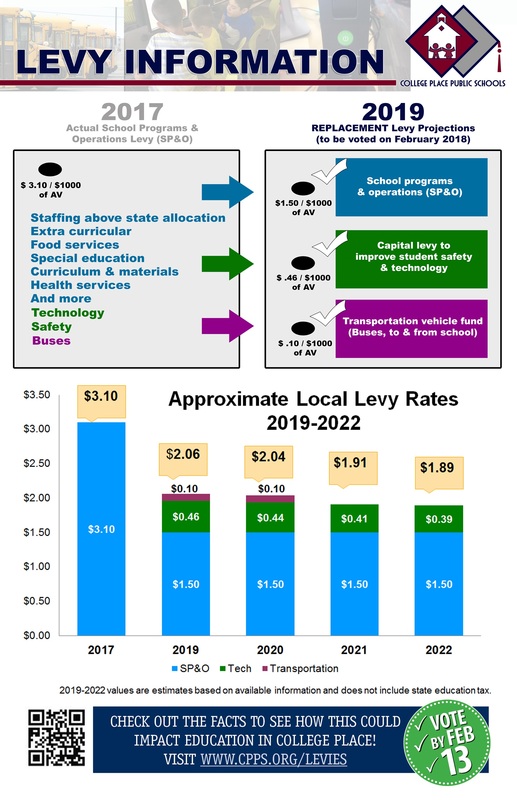 Due to the new state laws, voters will have to vote on three levies/proposition instead of just one to provided the same educational support for our CPPS students. Please register to vote. Please watch the above video of Mr. Payne explaining the levies and change in the law.